Residential New Construction has boomed in Murfreesboro and New Home Buyers have many choices. A complete selection of available new homes is shown below. New Home Buyers may also want to check the new homes in these popular Murfreesboro Subdivisions: Angler's Retreat Subdivision, Barfield Downs Subdivision, Brighton Park At Kingdom Ridge, Cascade Falls Subdivision, Enclave At Liberty Village, Estates of Primm Springs Subdivision, Garrison Cove Subdivision, Griffith Park Subdivision, Liberty Station Subdivision, Liberty Valley Subdivision, North Side Estates Subdivision, Stewart Creek Farms Subdivision, The Maples, Valleybrook Subdivision and Westlawn Subdivision. View our selection of available properties in the Murfreesboro New Construction area. 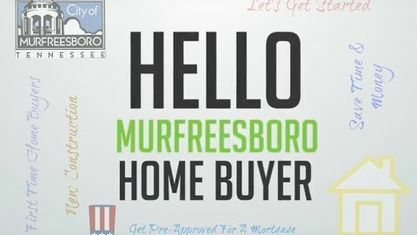 Get to know Murfreesboro New Construction better with our featured images and videos.